Last year we ran a schedule of every TV/Cable network schedule we could find that could be construed as Horror or Halloween related for the month of October. Let’s just say it proved useful for our readers and even for our staff when they were looking to find something to watch, wanted to program their DVR’s or didn’t want to miss out on some great “live” Horror. Isn’t there something about having a movie fed to you on TV as opposed to watching it on Blu-ray or DVD or streaming? We may not like commercials, but the randomness that you can associate with a TV program itinerary is novel. It removes a little bit of control from the audience who is all to concerned with being in control these days (just look at the reasons behind publishing a piece like this). So here’s the 2013 Halloween Seasonal TV Preview, what you can find on TV, when and what channel you’ll find it on. I’m still waiting for that damn Disney Halloween Treat to air even though I can find it on YouTube. There’s something great about not paying $200 for a VHS tape of a piece of my childhood. There’s something great about my kids just stumbling on to Mickey Mouse fighting a pile of ghosts. Personally I’m hoping to randomly catch the Halloween Roseanne episodes so that I don’t have to dig out my collected Halloween episode disc from the towering stack of DVD Hell. I’d also like to actually watch some Halloween programming with the kids this year though they never seem to stay awake for the gory stuff. A quick note: We are not going to be able to get it all. So many different markets and channels and providers… it’s impossible for me to compile a full list, but we will update it throughout the entire season. That means you can check back for updates and when we update this article we’ll post it on Facebook and Tweet it out to you. Make sure to follow us in the best way for you. Also note, schedules change. If we find out that something changes, we’ll change it on this article. Let us know when you have updates or find something we should add. This is a community effort for the community. Encore has many stations from which to choose and nearly all of them might have some Halloween related programming on though understand that these are primarily movie channels. Most of the month of October on Encore Suspense has a little something to help your merriment along however we’ll post the Halloween Day schedule since it seems to be focused on holiday programming. The complete schedule is available for all Encore channels. The Simpsons annual Halloween offering, The Treehouse of Horror, now in its 24th installment will be released on October 6th at 8PM EST. This year the opener will be from none other than Guillermo del Toro. I can assure you that this is one not to miss though I would say all of them have merit. Also on the docket from FOX is the somewhat maligned Sleepy Hollow. We just saw the series premiere 9/16 and you should catch it every Monday night or until they decide to switch it to a better time slot. While I haven’t as of yet had the opportunity to enjoy this show (or not) the commericials suckered me in. See if it’s right for you. Starting Monday October 7th at 8PM you’ll get a hefty dose of The Walking Dead. Each night reruns will air in anticipation for the new season airing Sunday October 13th at 9pm. Saturday and Sunday on the weekend of the season premiere will be filled with an all day marathon of episodes. Walk Like You’re Dead. Talk Like You’re Dead. Also shortly there after you’ll find the new episode of Dead Already from The Liberal Dead, the unofficial Walking Dead podcast this year featuring Heather Seebach of *Viewer Discretion Advised. Walking Dead marathon leading up to the new episodie season premiere. IFC appears to be starting early this year. Scary programming begins Monday September 23rd. The selection is eclectic and usually, mostly uncut though these features will have commercials. There will be gaps where regular, non horror programming happens. You can follow the schedule HERE, but below is what has been posted so far. (Oh and I realize that IFC Midnight is actually IFC’s darker new releases but I like the name and logo and they don’t have a horror specific one yet). 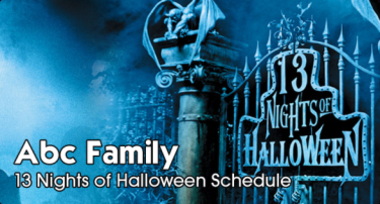 ABC Family’s schedule for October has just been released. You’ll have to wait until mid-October to enjoy their programming, so no rush here. It’ll be fare for the younger folks. Family horror and spook shows as the channel suggests. We’re talking about an eclectic line up from a very successful Halloween offering that year after year enchants my own family. I even get the wife to watch a few of these (and those of you know how much she hates HORROR). Monstober is upon us again this year. You can check on the site HERE. This is the best for the kids. Truly fun horror and spook shows. The Disney Channel generally does a great job of this year round anyway. Of course if you get a chance to make your way to Disney World or Disney Land you’ll be treated to a decorated nightmare land… lite. The entire first season will air throughout “Monstober” every Tuesday, Wednesday and Thursday night at 8:00 p.m., October 1 – 24. “Lone Wolf” – The series follows Maddy Smith, a seemingly ordinary 14-year-old girl with a really big secret — she is a Wolfblood. Not completely wolves nor humans, Wolfbloods have special powers including extraordinary strength, super speed, heightened senses and they can change into wolves every full moon. In the premiere episode, Maddy realizes she is not alone when she discovers the new boy at school, Rhydian, shares her same secret. “mutA.N.T. FARM 3” – The mutants are back for Halloween and this time they arrive at what they think is a new boarding school for monsters, only to discover it’s actually a prison run by Winter. When they try to escape, they accidently open a portal to the A.N.T. boarding school and meet the human versions of themselves. Enjoying their newfound freedom, the mutants trick Chyna and the gang through the portal to take their places back in the mutant world. “Howloween” – It’s Halloween at the James-Jennings house and everyone looks to Avery to plan the family party. However, when Avery finds out that all of her friends, including her crush Wes, are going to a classmate’s house Halloween night, she wants to skip the family’s party and be with her friends. Meanwhile, Stan sets out to find the perfect costume that will disguise that he’s a dog so that he can attend the party and converse with Ellen and Bennett. Guest starring Peyton Meyers (of Disney Channel’s “Girl Meets World”) as Wes. “Ghoul Friend” – When Mickey’s car breaks down in a spooky forest, a Goofy-looking ghoul gives chase to everyone’s favorite mouse. “The Pet” – When Wander and Sylvia board an abandoned spaceship, they encounter a horrifying alien monster that is set on eating them. While Sylvia sees the wild beast as a threat, Wander takes a liking to the ferocious little monster and tries to train it to be his pet. “Druselsteinoween” – When Vanessa learns that Doofenshmirtz has inherited a Drusselsteinian Castle right next door to her she seizes the opportunity to throw the biggest Halloween bash ever. The whole town is there, includingPhineas and Ferb, who act as the event’s party planners and DJs. Meanwhile, Doofenshmirtz enlists Perry to help him find a large, hidden treasure that his Great Aunt has placed somewhere within the Castle. “Ghost Bummers” – When Mrs. Chesterfield throws a roof-top bash and doesn’t invite Jessie and the kids, they decide to throw a Halloween party themselves. But their festivities take a haunting turn when Jessie begins to see ghosts and Emma, Luke and Mrs. Chesterfield are overcome by ghoulish spirits. Now, it’s up to Jessie, Ravi and Zuri to defeat the ghosts and save the day and the building. “Terrifying Tri-State Trilogy of Terror” – This new episode of “Phineas and Ferb” features three separate tales. Tale One follows Candace as she accidentally conjures up a spell that turns her Ducky Momo plushie into a living, breathing doll that is set on stalking her. In Tale Two, Doofenshmirtz encounters a mythological, giant floating baby head that grants cursed wishes; and Tale Three pits Phineas, Ferb and their friends against a horde of mischievous, evil platypuses set on destroying the town. “Blade and The Howling Commandos” – It’s Halloween for Marvel’s Ultimate Spider-Man, but there’s no time for Spider-Man and his friends to trick-or-treat when they find themselves attacked by evil vampires led by Draculahimself. Spidey’s only hope of stopping a world takeover is to team up with Nick Fury’s secret team of super-powered monsters, The Howling Commandos. Led by Jack Russell, aka Werewolf by Night, The Howling Commandos include vampire hunter Blade, The Living Mummy, Frankenstein’s Monster and Man-Thing. Guest starring are Ross Lynch (“Austin & Ally”) as Jack Russell aka Werewolf by Night, Terry Crews (“Everybody Hates Chris”) as Blade, Oded Fehr (“The Mummy”) as The Living Mummy, Kevin Michael Richardson (Disney XD’s “Randy Cunningham: 9th Grade Ninja”) as Frankenstein’s Monster and Cory Burton (Disney Junior’s “Jake and the Never Land Pirates”) as Dracula. “Fright Night” – Teddy and her friends go ‘Halloween Caroling’ to raise money for the drama club. Meanwhile, PJ and Gabe’s plans for a simple night turn creepy after a neighboring mom promises to get even with them for not giving her son any trick-or-treat candy. “Kang-A-Rooney” – When Joey is too nervous to talk to a girl he likes, Maddie decides the best place for him to practice talking to girls is at the high school dance – when everyone is in costume. Meanwhile, Parker booby-traps the house to protect one of the family’s most prized Halloween decorations from being stolen. “Haunt It Up” – Rocky and CeCe decide they’re too old to trick-or-treat and elect to have a “Mature-o’ween” with more adult activities, such as knitting and watching tear-jerking movies. They soon realize they’re just missing out on fun and candy, and scramble to salvage what’s left of their Halloween. Meanwhile, tired of being treated like a little kid, Flynn challenges Ty and Deuce to a scare off in an old abandoned house believed to be haunted by a young spirit. “Face Your Fear” – After studying hours of horror movies, Doofenshmirtz develops a theory that enlarging small, cute animals into giant beasts will help him take over the Tri-State area. But when he puts his plan into action, he soon realizes it might be too much for him to handle. Meanwhile, Phineas and Ferb make a giant revolving foam city so they can safely perform skateboarding tricks, and Candace’s tour of the Danville Space Laboratory gives her an opportunity for a high-tech bust. New shorts premiere each night the week of October 14- 18 at 7:25 p.m. The new short-form series kicks-off the week with two back-to-back episodes, “Candy Monster” (7:25 p.m.) and “Stan’s Tattoo” (7:55 p.m.). In “Candy Monster,” Dipper and Mable must go into full on battle mode against a mysterious creature when it leaps out of the rafters and steals their ‘Summerween’ candy. “Stan’s Tattoo” follows Dipper as he devises a plan to unravel the enigma that is Stan’s Tattoo. “Mailbox” – Dipper and Soos stumble upon a mailbox in the middle of the forest and make it their mission to discover who (or what) picks up the mail left inside. “Lefty” – Dipper sets out to discover why a certain Gravity Falls resident always faces left. “Tooth” – Dipper and Mabel find a gigantic tooth on the shores of the lake, and set out in a rowboat to find out where it came from. “The Hide Behind” – In hearing of a local lumberjack legend, Dipper investigates a mysterious creature that has been heard, but never seen. “Toy Story of Terror!” – What starts out as a fun road trip for the “Toy Story” gang takes an unexpected turn for the worse when the trip detours to a roadside motel. After one of the toys goes missing, the others find themselves caught up in a mysterious sequence of events that must be solved before they all suffer the same fate. 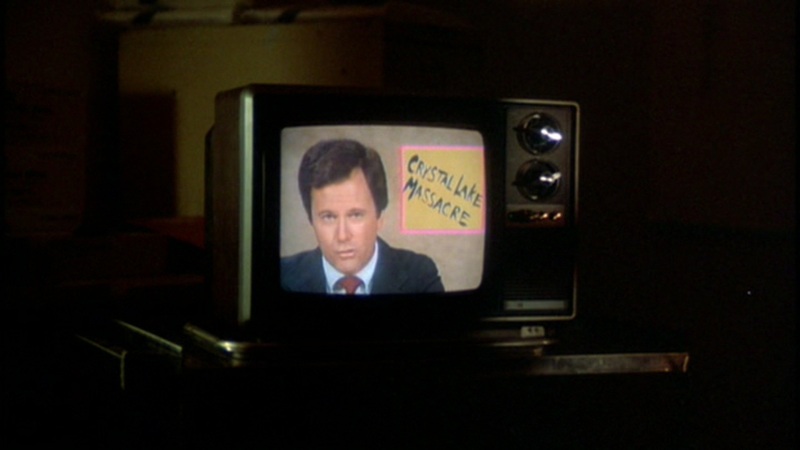 4:00 p.m. – 10:00 p.m. – Marathon featuring encore presentations of Halloween-themed episodes. Halloween Wars is back for another season. This is one of my favorite seasonal shows from the Food Network. The kids get to watch. They have horror specific guest judges. There’s tons of pumpkin, cake and candy on the screen. Two years ago they had Rob Zombie. This past year it was Tom Savini (among others). Let’s see who the guest judges will be this year. FearNet is always on the horror kick. That’s what they do. They link to their full shedule is below and as they announce special programming that you should be aware of, we’ll get it up here too. Last year they brought us Tales from the Crypt in sequential order. This year? FX has the premiere of American Horror Story: Coven coming at you this October 9 at 10PM, and before that they’ll be running some reruns of Asylum. This is going to be a terrifying year with beautiful seductive witch imagery. The damn commercials actually creeped me out. Kathy Bates. Jessica Lange. Angela Bassett. The rest of the returning cast. Sold. Also note that Buffy the Vampire Slayer is on FX at 8AM every single day as part of their regular programming. Perfect for a quick pick me up while you get ready for work. 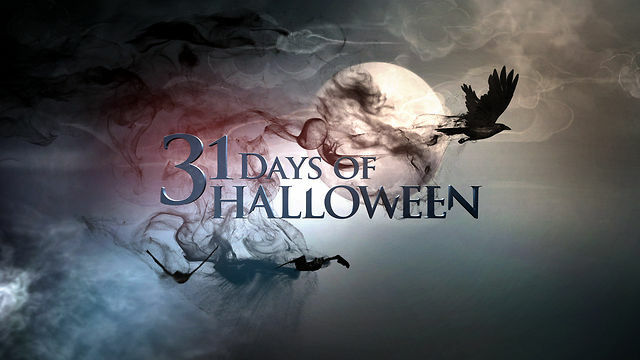 SyFy will be running a 31 Days of Halloween series each day during the month of October. Titles vary. A rather eclectic and somewhat nontraditional approach to some of the titles, but I can say that it’s nice to see the change up. Now realize that the SyFy channel hosts Face Off and a horde of original features as well as Twilight Zone re-runs. There’s always something Halloweeny to watch. I’m focusing on features they are listing as part of the 31 Days listing. Full schedule at the link below. Oct 9 features a Ghost Mine and Ghost Hunters Marathon all day. ***Please note that if you are using SyFy’s schedule they work on a broadcast day schedule instead of a 24 hour clock. I felt it was somewhat confusing in my format to use a broadcast day schedule, so I’ve adapted it to fit. That means that certain movies will appear on SyFy’s scheduel a day early even though it’s technically after midnight. Based on the feature film “Les Revenants” by Robin Campillo, “The Returned,” an eight-part French series distributed by Zodiak Rights created by Fabrice Gobert was a smash hit for France’s Canal+ and the UK’s Channel 4. The Independent proclaimed the drama “one of the greatest, creepiest, most compelling shows brought to…TV screens in 2013.” In an idyllic French mountain town, a seemingly random collection of people find themselves in a state of confusion as they attempt to return to their homes. What they don’t know yet is that they have been dead for several years, and no one is expecting them back. As they struggle to reintegrate with their families and past lovers, buried secrets emerge and new mysteries develop as they grapple with a miraculous and sinister new reality. But it seems they are not the only ones to have returned from the dead. Their arrival coincides with a series of gruesome murders which bear a chilling resemblance to the work of a serial killer from the past. The series is produced by Caroline Benjo, Jimmy Desmarais and Carole Scotta from Haut et Court. The Travel Channel? Really? You think I’m kidding when I include this in the list of channels to feature Halloween or Horror related programming, but these guys do an excellent job at featuring seasonal programming that’s a whole lot of fun and modestly educational. Someone in the programmer’s booth must celebrate the holiday like we celebrate the holiday. They’ve got programming up through October 12th at this point. That means that we won’t be able to give you the complete Halloween schedule yet, but let’s point out some programming that demands your attention (and you can just use the schedule link below to get times). In the milestone 100th episode, part of the current season, Zak Bagans, Nick Groff and Aaron Goodwin travel to St. Louis for an unprecedented investigation – the Exorcist House, site of the actual petrifying events depicted in the popular novel and Hollywood film, The Exorcist. Timed to the 40th anniversary of the film’s release, “Ghost Adventures” is the very first paranormal television show to ever investigate the home, which is the only building left in St. Louis in its original form that is tied to the Exorcist case. The team seeks answers to the mysteries behind what happened here in the past, and in the home’s recent history. To further aid in the investigation, they interview the great niece of Father William Bowdern, who performed the exorcism in 1949. This one-hour special features the most terrifying, extreme and absolute best of what Halloween has to offer. From America’s scariest, no-holds-barred haunted house in San Diego and a hair-raising coffin race in Colorado, to the ultimate custom bodying painting studio in Las Vegas and British Columbia’s pumpkin drop celebration, each destination is more frightening and fun than the last! Produced by High Noon Entertainment with Travel Channel’s Sean McKnight as Executive Producer. At the Fort East Martello Museum in Key West, Florida, history explorer and museum enthusiast Don Wildman investigates a cracked funerary plaque that once adorned a beautiful woman’s grave. It tells of one man’s grotesque attempt to bring his love back from the dead. Then, at the New Orleans Historic Voodoo Museum in New Orleans, Louisiana, Wildman explores a crudely-made whip that harkens back to a blood-chilling voodoo practice that defies belief. And prominently displayed in the lavish Mansion at the Myrtles Plantation in St. Francisville, Louisiana is an antique mirror, which some say is a portal to the world of the dead. In this one-hour Halloween special, Toy Hunter and collectibles expert Jordan Hembrough is on The Hunt for some of the scariest toys to sell at the Midwest’s HorrorHound convention. Meanwhile, Hembrough’s toy buddy Mark needs help with a special client – Metallica guitarist Kirk Hammett, who’s looking for extremely vintage, scary toys. In between scoring Ghostbusters memorabilia in Connecticut and a 1972 Parker Brothers Ouija board in Salem, MA, Hembrough scours for the perfect and rarest monster memorabilia for Hammett. When he locates just the right item, he not only makes Hammett a very happy customer, but gains a new rock star client for himself. Produced by Sharp Entertainment with Travel Channel’s Daniel A. Schwartz as Executive Producer. In each hour-long episode of the paranormal investigative series, retired NYPD Homicide Detective Steve DiSchiavi and physical medium Amy Allan explore all-new frightening cases of unexplained paranormal activity. The duo investigates each case separately, coming together only at the end to reveal their results. Season five opens with an investigation of Iowa’s Villisca Axe Murder House – site of a gruesome century-old mass murder whose case still remains unsolved. Other highlights include a Chicago home where a woman has returned to confront childhood nightmares; violent forces terrorizing a family home in St. Clair Shores, MI, that leaves the team questioning the safety of the house; a special “Dead Files Revisited” episode in which a violent exorcism was recorded in a Flint, MI home after the duo uncovered malicious entities; and more. Produced by Painless Entertainment, Inc. with Travel Channel’s David E. Gerber as Executive Producer. They’re always showing Ghost Adventures. Always. Early in the morning. When they need filler… Ghost Adventures. Keep an eye out for it. Chiller TV is very much like FearNet. They show Horror and Science Fiction related programming throughout the year. That means you can tune in through the entire month of October and see something holiday related. As of yet, the schedule isn’t up for October but you can easily access it via the link below. Also, I don’t get this channel so keep that under consideration. I’m sure they’ll be making a big seasaonal push, but what form this will take I truly cannot say. Check back. Toy Story OF TERROR! airs on Wednesday, October 16 at 8:00-8:30 p.m., ET on ABC. This is the world premiere and promises to be perfect for the kiddes and the kiddies at heart. Toy Story 3 at some pretty scary moments and the ride at Disney World had some exceptionally Sci-Fi moments. From Disney•Pixar comes a spooky new tale featuring all of your favorite characters from theToy Story films. Thanks to Alex D. for rocking us this awesome info. May the Great Pumpkin be with you. October 3rd at 8 the season premiere of The Vampire Diaries hits your boobtube. This is not my kind of thing, but if you dig the show, it’s ready to sink its teeth into you as much as you want to sink your teeth into it. http://www.halloweenmoviesontv.com/ is a great resource where you might locate specific movies or access schedules as well. I’ve used them on a couple entries in this post although mostly just went to the network website. I love what they’re doing. They have a “days to Halloween countdown”, and I like their format. They even have links to previous years schedules so you can see how Halloween is gradually being eradicated from our programming by reality television (half truth only). No, I don’t care if you use their awesome site instead of this one. I only post this to be helpful anyway and it’s fun and pretty much we’re all IN THIS TOGETHER!!! The battle for Halloween 2013 hath begun! Also make sure to “like” their FaceBook page HERE. They have some very fun pics up of animated features from my youth. -Dr. TERROR … ready for Autumn and October and more pixy stix up my nose. Wow! What an undertaking – thanks a lot! I can’t believe The Simpsons are doing another horror segment about two heads on one body. Now THAT’S lazy. The Simpsons need to focus on parodies. Their originals seem to fall flat (thought not always). I’m excited to see the del Toro offering, but the Cat and the Hat? What is that!? wow so many. love the kind of movie festival idea. recommend 10? My recommendation for Halloween are as follows: 1. Night of the Living Dead (original) 2. The Haunting (original) 3. House on Haunted Hill (original) 4. Frankenstein (original) 5. Halloween II (but wait until just after Midnight when it’s technically Nov 1st because much of the movie seems to take place later in the evening. 6. 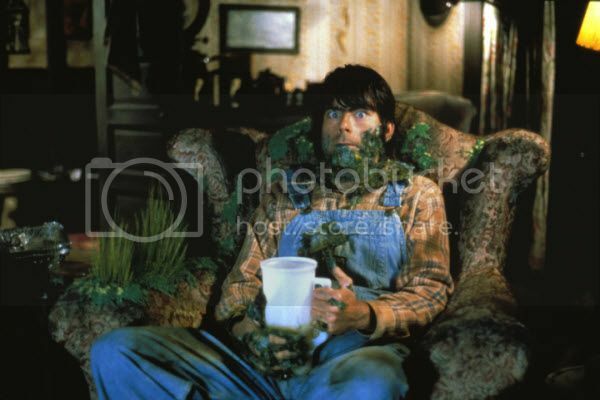 Creepshow 7. Tales from the Crypt (1972) 8. The Thing from another World 9. The Beyond 10. Blood Feast. (not all of these are on… just think they’re a great way to spend Halloween day or any day). Great list – thanks for compiling! Thanks Alex. Will include it. I’ll be doing regular updates so this kind of thing helps everyone. I’m scanning some of the major networks too, but it gets tricky since they typical don’t do huge programming switches. hmmmmm…I just happened to check for the HITCHER on Oct 1 because you didn’t state whether it was the original or not. The syfy schedule does not list, same for Oct 2nd, the listing does not match what you have. I’m not checking every date, but figure a lot may be wrong if the 1st and 2nd are wrong? Cheers for the list though. The reason you are not seeing The Hitcher on Oct 1st is being it’s listed on SyFy’s Sept 30th. SyFy works on a “broadcast day” schedule which airs from 6 or so to 4am or so. That means that The Hitcher shows up on Sept 30th’s schedule even though it will air on Oct 1st at 1:30AM. I’ll clarify this in the notes in the post. Sorry for the confusion. Incidentally… they’re the only ones that I’ve seen do that.